So, it’s been WAY too long. And I’ve been on a crazy journey that includes meeting and moving in with the love of my life, having a baby (who just turned 1! ), falling in love with 3 stepkids, running a small (but mighty) business, and more. But now I have to get back to focusing on how to make ME healthy. I must admit, it started as a New Year’s resolution. But this is one I’m keeping beyond 2016! I’m back to eating Paleo/Primal, with a focus on eating as healthily (and yummily!) and keeping my carb/net carbs down. I am 2 weeks into this journey, and had my weigh-in this morning. 11.1 pounds down in the first 2 weeks! So PrimeAli is back and ready to share my ups and downs, awesome concoctions (aka recipes), and more! 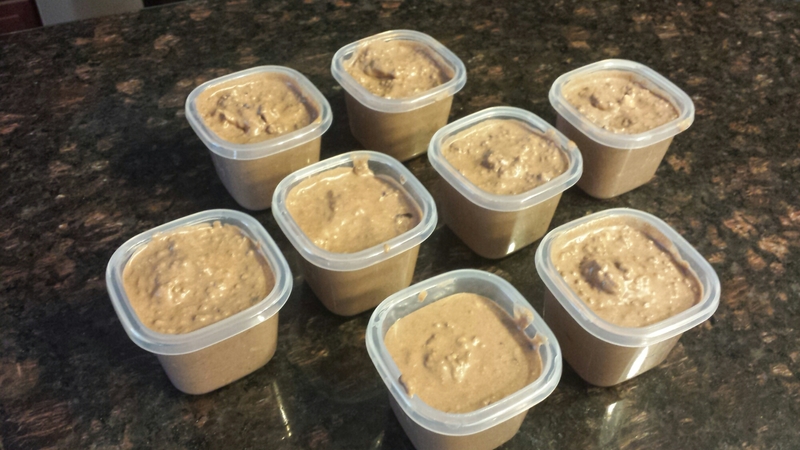 To kick off, I just made up this delicious, high vitamin/low carb pudding with chia seeds (POWER food! ), cacao nibs, and more. YUM! !